But does she really know? Thankfully, at that very moment, I was reading an interview with Lupita Nyong’o in the InStyle (April 2016), where she talked about her own battles with hair. Thank you, God! “Read this,” I said. She smiled, knowingly. She knew she was wandering off the ranch and she knew that I was trying to bring her back. Yasssss, Lupita, yassssss!!!! You saved the day! My little brown girl needed to hear those words as she saw Lupita’s beautifully brown face gracing the cover of the magazine. It’s not often that I can find a brown face on the newsstand, unless it’s an article about crime. What a tremendous moment to have Lupita’s own words reiterate what I have been trying to teach all along. I didn’t hear anymore about the hair. For now. Teach her the real definition of beauty. Yes, beauty is something that we all possess externally, but more importantly, it’s about being a good and loving person internally. If one focuses only on her exterior self, she misses an opportunity to be brilliant, to be excellent, to impact the world in amazing ways. I do not believe in putting too much focus on looks. Beautiful is about being healthy, strong, confident, and kind. Beauty is about being our best selves and helping others to do the same. Beauty is, by definition, excellence. When girls focus on the real meaning of beautiful, we all get on the right track. Expose her to many strong, successful, beautiful women, especially those who look like her. I take every opportunity to expose my daughters to images that reflect themselves. The bottom line is, if they don’t see people like them doing amazing things, they will not think it’s possible. I make sure to have magazines, books, and art with beautifully brown women and girls all around. Having Lupita’s words available when I needed them just confirms how we need to have multiple perspectives represented. We are the first in line to any movie or production with a beautifully brown lead or cast. It helps girls to be able to dream and see themselves in the same shoes. It also helps to build the confidence to charter new territory, even if they are alone. I have noticed my girls light up when they see brown girls performing on the stage. I have also had to have conversations when black and brown characters are not portrayed in the best light (which I’ve noticed a lot in kids’ shows when I look closely). At a young age, they start to determine what certain people do or do not based on the messages that they receive. They have all types of experiences but I have to make sure that there is a balance of the images that they see. Teach her not to fit in but to stand out. It’s tough being a kid. There is so much pressure to conform and if you’re different in any way, kids can be cruel. And while I want them to have friends of all types, I tell them that they do not need to feel pressured to fit in. I once encouraged them to make friends with a group of kids where, I eventually learned, one kid would turn the group against them when they all got together. I was tempted to jump in and work it out but I decided to change my tune. In their adult life, I wouldn’t expect them to keep trying to be accepted by people exhibiting the same characteristics. I told them that they always have people who love them and that they never have to accept that treatment or be desperate for friends. Kids will be kids, yes, but kids can also have standards and advocate for themselves. Instead of them taking the incident personally, they moved on and kept a distance for a time. Now, they’ve revisited the relationship on different terms, and it’s working out much better for all. When you’re not worried about fitting in, you have nothing to lose. Teach her that “they” are wrong, not her. This is not about teaching your kid that she’s better than anyone else. My motto is always, “No one is better than you and you’re no better than anyone else.” They need to know, if there is anyone out there—boy, girl, woman, or man—who is sending the message that you are less smart/beautiful/important/fill in the blank than anyone else, they are wrong. Period. Because you are beautifully and wonderfully made. They are the one with the problem. Any time you are mistreated, underestimated, or devalued based on the color of your skin or your brand of beauty, it is not you, it’s “them.” There is no brand of beauty superior to another. I have to make this explicitly clear because I don’t want my girls to internalize the stains of our past and present as their own inferiority. It is hard for kids to understand, so you really have to be intentional in teaching this. Check in periodically to make sure she’s on the right track. 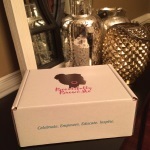 When I started this journey to motherhood, I hadn’t thought these things through. When we picked our daughters’ first school, it happened to be predominantly white. It was an amazing place. I thought that we would have a colorblind experience and I barely discussed race with them at all. I thought, why not just let the girls navigate and exist without the burdens of race. But what I learned is that this is unrealistic. (And this is unrealistic in all matters–not discussing any matter does not mean that they won’t learn about it. They just won’t learn about it from you.) It was the cutest thing when my daughter’s first best friend was a little white boy in her class who asked if another (white) mom was her mom because he, clearly, didn’t see color at that time. But when, in kindergarten, my daughter asked, “Who are these African Americans that people keep talking about?” I knew it was time to try a new approach. And as kids get older and friendships become based on other things, not just a mutual affinity for one another, it became more necessary to prepare my girls for the real world, but in a way that they could feel empowered and confident. I check in on which dolls they like, which characters they like, which books they like, which images they relate to. Not too long ago, researchers reenacted the famous doll experiment, where children were given a black and white doll and asked to identify the good and bad dolls. You can guess how that turned out. There have been times when I was not 100% sure what my kids would have said. That is hurtful to me and scary. It makes me not want to ask and not want to know. But the stakes are too high. I have to be sure and watch closely. What are they preferring? Given options, what do they choose? I want them to love and choose dolls and images that look like them, while also embracing other cultures. What I want to be sure of is that they are not rejecting themselves. I have had to teach my girls at an early age to analyze the messages that they receive, not just accept them. And in doing so, I have been blessed to develop an even stronger sense of my own self. Alicia I love this! So necessary and on point!! You go girl! Do your thing!!! Thank you for reading, Rachel!!! Your site is awesome, Alicia, and I am so proud of everything you are doing. 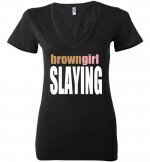 Brown girl SLAYING!!!!!!!!!!!!!!!!!!!!!!!!!!!!!!!!!!!!!!! 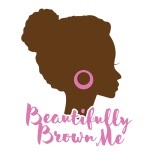 This entry was posted on March 24, 2016 by BeautifullyBrownMe in BB Mom.